William A. Schiemann is CEO of the Metrus Group, an organizational research and advisory firm that specializes in evidence-based decisions regarding organizational and functional strategy, as well as talent management. His clients range from large global firms such as Hewlett-Packard, Johnson & Johnson, McDonald's, Novartis, Takeda Pharmaceutical, and Wal-Mart, to local and regional private, public, and nonprofit organizations. Section I: New Rules in a Changing World. 2 People Equity: What It Is and Why It Matters. 3 How to Manage People Equity. Section II: Measuring the Unmeasurable. 5 ACE and Resource Allocation. 6 Aligning Strategy, Culture, and Talent. 7 Capabilities: Fuel for Growing Customer Value. Section IV: Managing the Talent Life Cycle. 11 Growing Your Talent Reservoir. 12 Retaining Top Talent in Good Times and Bad. 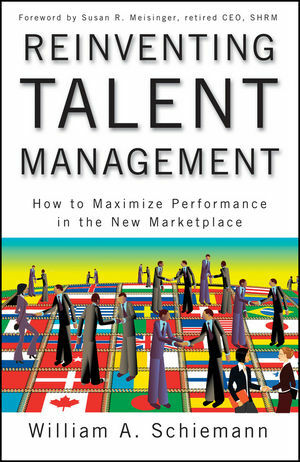 Appendix: Exercise: Impact of Trends on Your Talent Management.